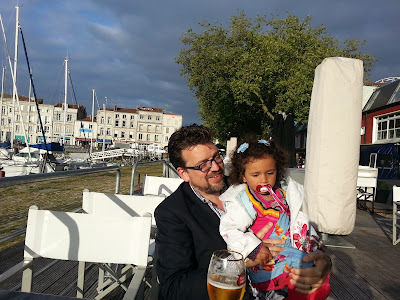 Last weekend my wife, daughter and myself visited La Rochelle, on the West coast of France, with a sea port opening to the Bay of Biscay. We might move here. We're considering moving outside of Paris, but we've decided to stay in the country this time (Malta, Belgium, or the UK were our most likely destinations). The village is absolutely gorgeous and prices are much more reasonable than Paris. Since we've started a company that, amongst other things, does international IT recruitment, we find ourselves in the luxurious position of being able to move. 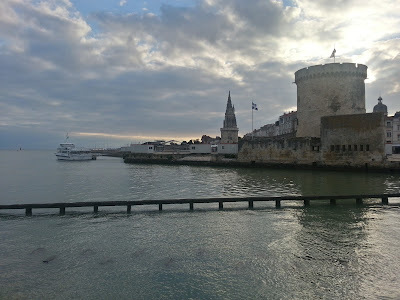 Those who haven't traveled much or haven't been to France may not understand me when I say La Rochelle is more French than Paris, but it's true. 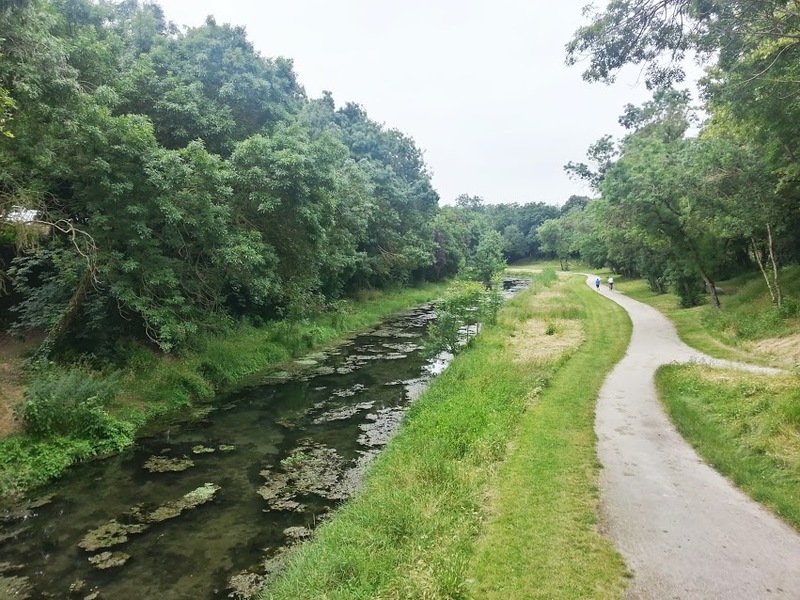 In fact, the more I move to different countries, the more I find that the soul of the countries is in the countryside, not the big cities. 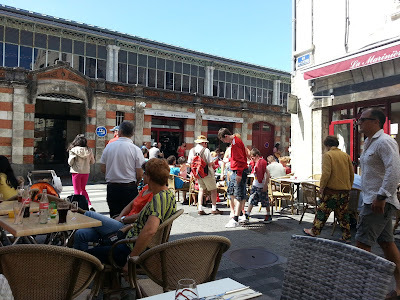 Nevertheless, would-be expats will flock to Paris rather than Guéret or Châteauroux, leaving the smaller towns alone. 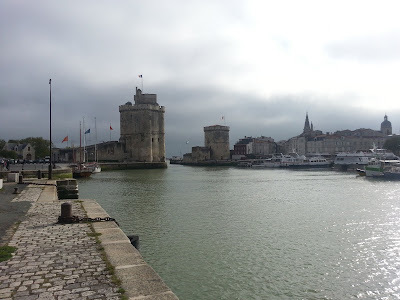 La Rochelle was lovely, but I did have a bit of an allergy attack on the last day when we walked through a park. I haven't had one in ages, but compared to La Rochelle, Paris is biologically dead. We'll have to visit again to see if this is really a problem. My allergies used to put me through three months of hell every year. La Rochelle itself has an interesting history. It was the last city in France to be recaptured from the Nazis at the end of World War II and La Rochelle still has U-boat pens. For film buffs, large parts of Das Boot were filmed there. 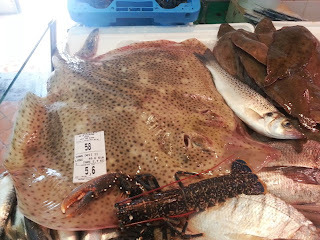 Fresh seafood at the La Rochelle market. And the seafood. Did I forget to mention the seafood? Being a harbor town, there's tons of fresh seafood of many varieties. For lunch the first day, I ordered fried calamari, but it was incredible how soft and flavorful it was. I don't think I had ever had it that fresh. 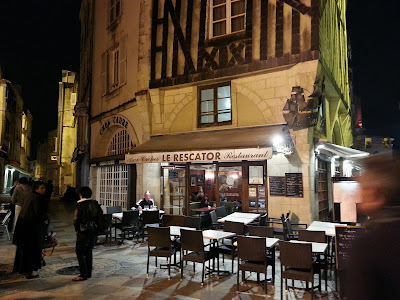 Later I enjoyed moules-frites, a popular Belgian dish of mussels that is also widespread in France and, well, heck, I'll stop there because I'm making myself hungry. The food is just amazing, and despite it being a tourist town, I was astonished at how reasonable the prices were. Of course, coming from Paris, that may not be a fair comparison. 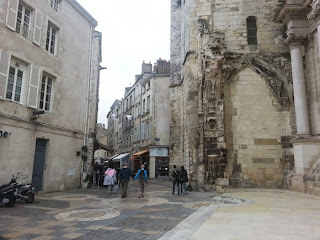 In front of a church in La Rochelle. 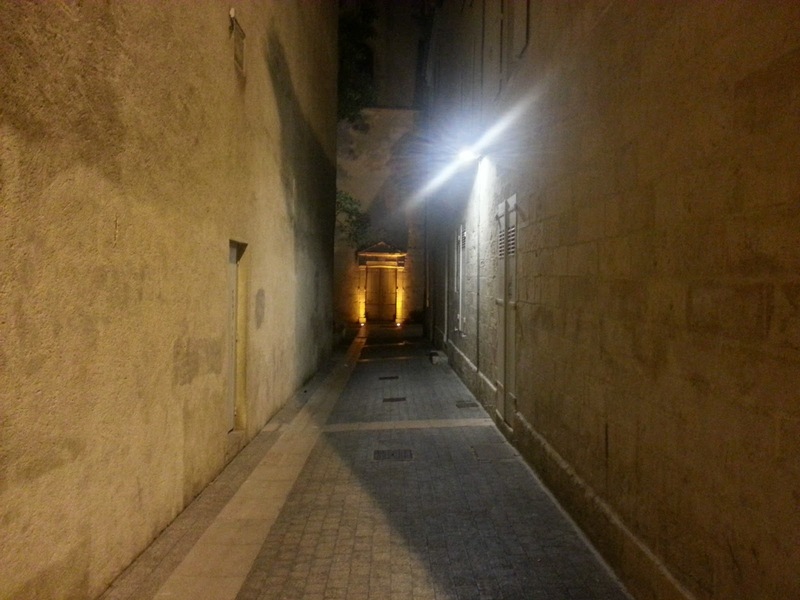 That small road leads to delightful shops and restaurants. While my wife and I have been searching for places to live, I have a small confession to make: I was nervous about the tourists. You see, several times I have visited my in-laws in Calais in the north of France. It's a port town and a ferry from Dover, England, goes to Calais. Hold that thought. Calais, due to its strategic importance as overlooking the narrowest point of the English Channel, has often been important from a military perspective. As a result, while port towns filled with tourists are often well off, Calais has repeatedly been overrun in wars. Today, the people are friendly and warm, but the city has been rebuilt and it lacks much of the old-world charm of much of France. 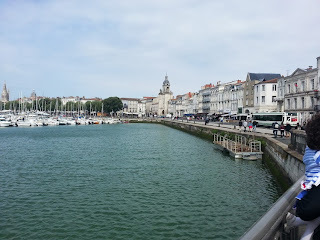 the waterfront in La Rochelle. And now, back to the tourists. I'm going to be quite blunt here, so turn away if you're easily offended. 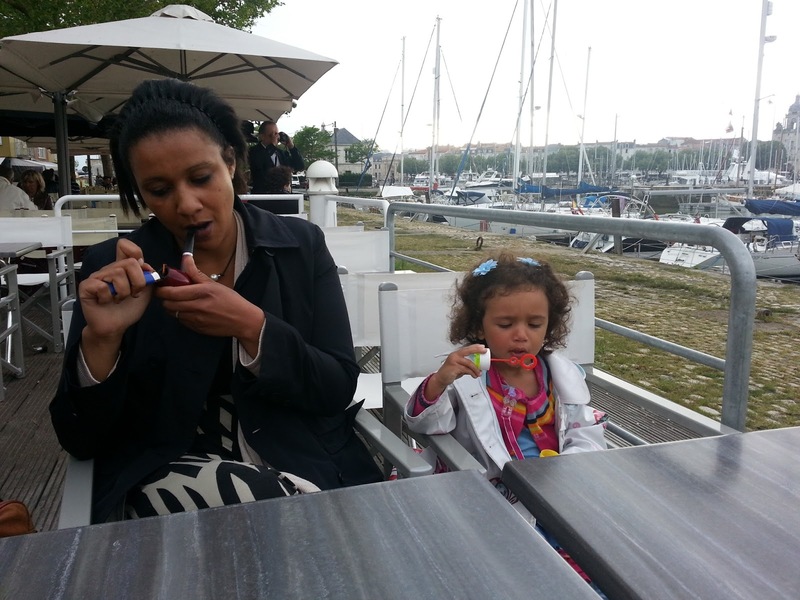 If you get to know the residents of Calais, also known as Calaisiens, you will find that some of them hate the British. This isn't he casual British/French rivalry: this borders on loathing. You see, many British people can't afford a vacation abroad, but what they can afford is a train to Dover, take a quick ferry to Calais, visit the town and return later in the evening (or if they really splurge, getting a hotel room for the night). 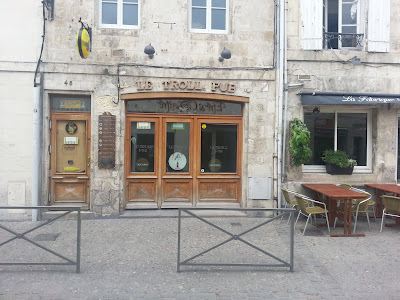 This seems fine, but what this means, in practice, is that you have a bunch of tourists who get rip roaring drunk, shout at the top of their lungs, vomit on the sidewalk (a popular British drinking past time I saw repeatedly while living in the UK), pick fights with the locals, and generally earn the ire of the French. They're worse than pigeons, I tell you. Don't get me wrong, I don't have the hatred of the British that some Calaisiens do, but I have seen this mess in Calais first-hand and more than once I've changed my course because I saw a situation that looked like it was spiraling out of control. Most tourists are great and don't cause problems, but those that do can make life miserable for the residents. 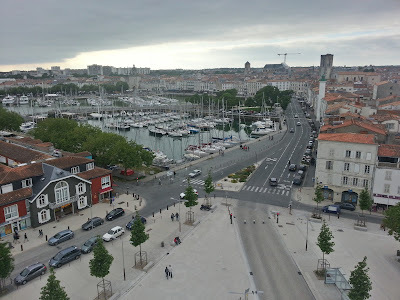 Thus, when I went to La Rochelle, all of my research suggested that this was a town I worth moving to, but I was wary of the tourists in a port town. Now, of course, I feel stupid. La Rochelle is a popular tourist destination, but it's certainly not one that most people can choose for a day trip. 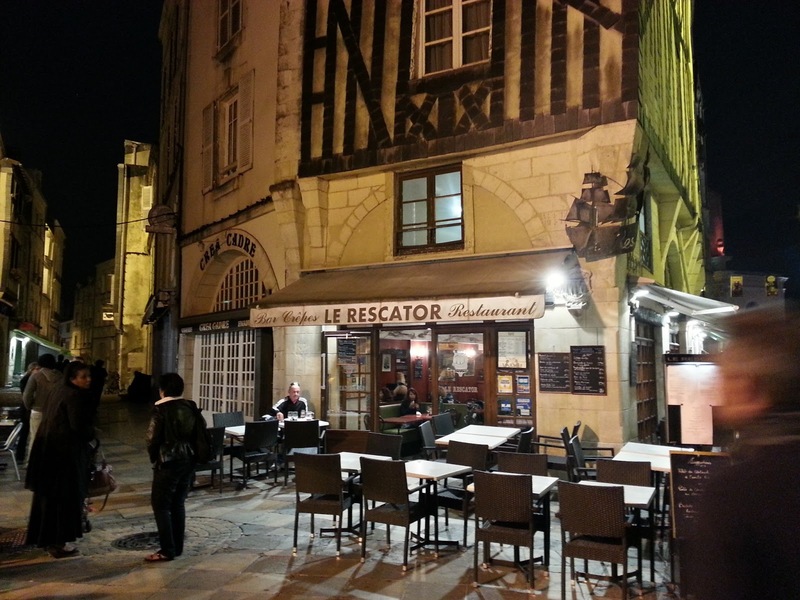 This immediately cuts down on the drunken boisterousness of many tourists and the town is quiet and laid back. Now I'll shut up and just leave you with a photo dump. Nighttime shot of one of their restaurants at night. Lovely door. I wonder what's behind it? La Rochelle from the air. I just love this photo of my wife and daughter. 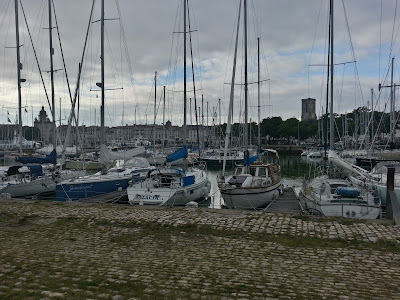 The harbor at La Rochelle. One of the old harbor towers. At a surprisingly pleasant Vietnamese "bistro"
at the La Rochelle market. Sadly, I never had a chance to visit "Le Troll Pub". 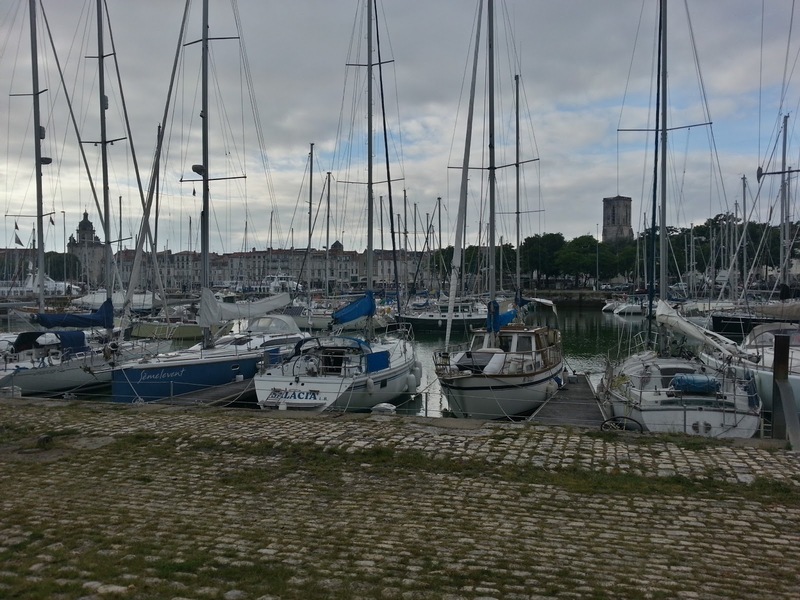 The old port in La Rochelle.